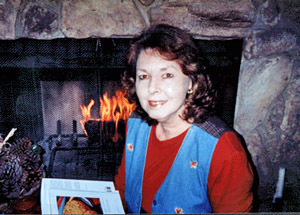 Although she always enjoyed cooking, Carolyn Collins never considered entering a cooking contest until March 2000 and read about the Pillsbury Bakeoff. “I decided right then and there that I would enter the next one,” she says. She logged on to the Bakeoff Web site and asked around if anyone knew when the next Bakeoff was… and ended up being directed to CCCentral. Carolyn began entering cxontests on a regular basis in August 2000 and she’s been winning ever since. “I was surprised at how quickly I had my first win and how much fun it was!” she says. And it didn’t take long for Carolyn to make it to the Bakeoff either… she was a 2002 Finalist. NOTABLE WINS: Grand Prize: 2000 National Catfish Institute; Third Place: 2000 mom-mom.com; First Place: 2000 Quaker Oats; First Place: 2001 Kretschmer Wheat Germ; Finalist: 40th Pillsbury Bakeoff; First Place: 2002 USA Rice; Grand Prize ($10,000): 2003 Equal Sweetener; Runner-Up: 2005 Nat. Beef Cook-Off.